Event Description : ENVIRONMENT TALK "Landscapes of the Thar Desert"
Speaker: Shri Pradip Krishen, naturalist, environmentalist, author of Trees of Delhi: A Field Guide and Jungle Trees of Central India. He has also directed some well-known films like Massey Sahib and In Which Annie Gives It Those Ones. 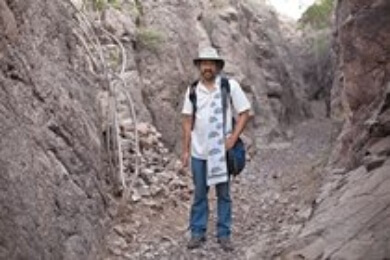 Pradip will speak on how the Thar Desert in West Rajasthan isn't just an undifferentiated sandy 'wasteland' but a collection of distinct landscapes that have to do with the complicated geological evolution of the western desert. Photographs of several of these distinctive landscapes will be shown and he will explain how they relate to the plants found in each of them.